Starting Salary for State Certified Firefighter/Paramedic after County Certified is $44,320.64. This is inclusive of the County paramedic incentive of $2.75/hour, half of which will be paid from date of hire and the remaining half once County Certified by the County Medical Director. The following documents MUST be scanned, uploaded, and submitted with the online application. Valid EVOC Certificate or Letter of completion – This is the 16-hr. Emergency Vehicle Operators Course (CEVO certification is not sufficient). Typically, this certification is obtained during EMT training, as it is a requirement of many EMT programs. 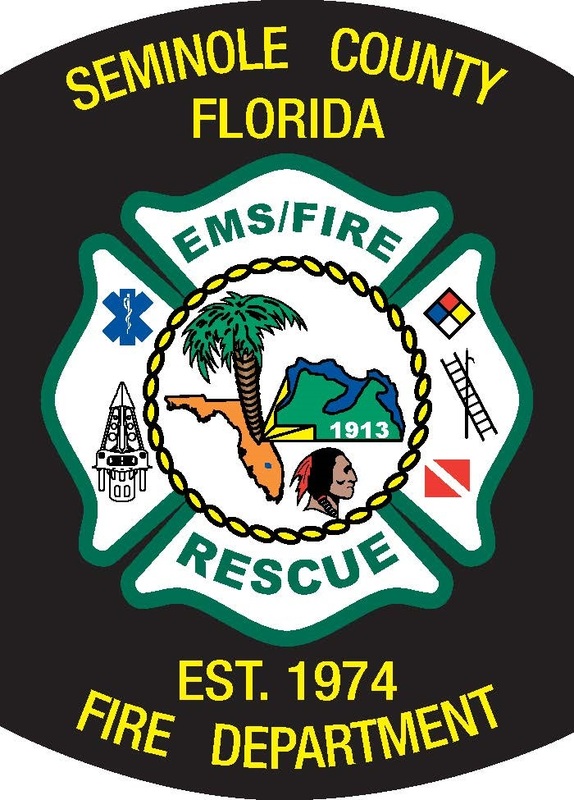 However, if EVOC certification is needed, please visit http://www.doh.state.fl.us/DEMO/EMS/TrainTest/TrainTest.html for locations where EMT programs are offered, to determine where EVOC might be obtained. FireTEAM Test – The FireTEAM test must be taken through National Testing Network. (Go to www.nationaltestingnetwork.com and click the tab entitled “Firefighter Jobs.”) This test must be completed within a year (365 days) prior to the closing date on the job posting. There’s no need to attach proof of test completion to your application, as we only accept results that are reported directly to us from NTN. That means you must visit the NTN website and select our department to receive your scores. Candidates who submit all required paperwork and receive passing scores on both the CPAT and FireTEAM tests will be notified by email to sign up for our internal Fire/EMS Skills Assessment, which will take place the week of January 22, 2018. Upon successful completion of the Internal Fire/EMS Skills Assessment, candidates will be scheduled for interviews the week of January 29, 2018. Please be prepared to provide two letters of recommendation at the interview. Technical work involving the responsibility for the protection of life and property by combating, extinguishing and preventing fire damage, and responding to emergency medical incidents. Position may be reassigned to meet the operational needs of the Department. Responds to fire, rescue and emergency medical incidents in an assigned area as a member of a Engine, Tower, or Rescue Company. Enters burning buildings and removes and rescues persons from danger. Administers Basic or Advanced Life Support and emergency medical assistance to sick or injured persons. Connects hoselines and/or apparatus to hydrants or pumps, joins hose sections, connects nozzles, and operates nozzles in spraying water on fire. Ventilates burning buildings. Operates hand fire extinguisher and similar equipment. Raises, climbs, and lowers ladders. Performs salvage and overhaul operations. Drives emergency fire apparatus in responding to fire and rescue incidents. Operates pumps to maintain adequate water volume and pressure. Engages in pre-fire planning and inspection of commercial establishments in assigned areas. Performs maintenance cleaning tasks in and about assigned station. Performs related duties, such as inventory assessment and map book preparation. May act in the capacity of a certified paramedic if so certified and authorized by the Fire Department. Performs other duties as assigned, including, but not limited to, reassignments or rotations. In the event of an emergency, all employees are considered essential personnel and may be required to perform alternate duties. Considerable knowledge of street/road system and geography of Seminole County and a working knowledge of firefighting and emergency medical procedures. Ability to understand and follow oral and written instructions. Ability to react quickly and calmly in emergency situations. Ability to establish and maintain effective relationships with associates and the general public. Ability to perform prolonged and arduous work under adverse conditions. Must possess a Firefighter II certificate of Compliance issued by the Florida Division of State Fire Marshal. Must possess and maintain Emergency Medical Technician certification issued by the Florida Department of Health. If incumbent is authorized and designated to work in the capacity of a paramedic, must possess and maintain certification as a paramedic as designated by the State of Florida and the Fire Department. Must meet and be able to continuously maintain the physical agility requirements as administered by the Fire Department. New hires must have abstained from the use of tobacco products for twelve months prior to application with Seminole County (Florida Statute Section 633.34). All employees must attend Seminole County Required Trainings. Department Specific trainings per position may be required. Eligible applicants must agree to submit to a background check, including a Level II (fingerprint) criminal background check and driver’s license check. Applicants must meet all moral and criminal background guidelines, in addition to all other employment requirements mandated by Florida Statutes for certification(s) and by Seminole County. If you meet the criteria for this position you may be tested, interviewed and extended a conditional offer of employment. A conditional offer is the next step in the recruiting process and includes, but may not be limited to, a criminal background, driver’s license check, and medical physical. A conditional offer does not guarantee that the applicant will be hired. Seminole County’s practice is to make decisions based on merit, qualifications and lawful compliance with city ordinances, state and federal laws.